I revere and adore most of the members of the National Peace Committee, the Chairman, General Abdulsalam, His Eminence, the Sultan, and John Cardinal Onaiyekan, among others. I cannot, however, fathom the rationale behind the inclusion, into this august committee, of people like Oritsejafor, the antithesis of peace; a personage that spared no effort to hamper the dawn of change, christening it ‘a jihadist movement’ and its champion (who was then its presidential candidate) a sponsor of Boko Haram. I would have loved to behold Pastor Oritsejafor’s demeanour during that conference with his greatest bête noire, President Muhammadu Buhari. Disgustingly, the words we heard from Bishop Mathew Hassan Kukah of the Catholic Diocese of Sokoto after the Peace Committee’s meeting with President Buhari, were more like those of an Oritsejafor than a consensus of its members. It was like Oritsejafor speaking in Kukah’s clothing. If the honoured members of the Peace Committee left to chance or the aleatory decision of their chairperson, the issue of whom among them to address the press, that was a serious omission. If on the other hand the committee actually anointed Kukah as its spokesperson, then they all have now seen how flawed that decision was, because the garrulous Bishop ended up speaking his mind and imputing to them what they did not say. It is not surprising we witnessed incongruence between Kukah’s words and those of other members of the Peace Committee. The Anglican Primate of the Church of Nigeria, Anglican Communion, Most Reverend Nicholas Okoh, has urged churches nationwide to give wide support to President Muhammadu Buhari’s ‘Anti-corruption Agenda’. He said, “The Church has been preaching and teaching that people should live right. “When you live right, there will be no need for anybody to set up any panel or court against anybody. Of course there will be no need for probes where people abstain from pilfering and plundering of our commonwealth, but where the situation is as bleak as what we find ourselves in Nigeria today, then the law should be allowed to take its course. I am not going to comment on the makeup of the committee of 21 well-known Nigerians. I gathered Bishop Kukah, the Bishop of Sokoto Diocese, convened the committee and he is currently its coordinator, or so their website informs us. What bothers me is his body language and the queer matter of a catholic bishop seeming to hold brief for a political party and the former president. Father Kukah’s meddling is unbecoming. The one to whom we look up seems to be looking elsewhere himself. It is easy to assume I am holding brief for someone else myself or to believe this is just an attack on the personality of Bishop Kukah. I urge you to perish the thought, as I shall furnish you with evidence that there is something amiss in his recent interventions. If you carefully dissect Bishop Kukah’s words, the gist can be summarised into about three main points. The first point is that the Buhari administration is too preoccupied with probing the last regime and it is hampering governance. This is mere fiction not borne out by any fact. PMB promised he would fight corruption in his campaigns before the elections. If anything, this was why most of the masses voted for him, ignoring his every other failing. We saw in him a symbol of hope for justice and redress. This much was clear to anyone who watched the man campaign. Besides, this was the thrust of his campaigns since he ventured into politics in 2003. He would betray the trust reposed in him were he to suddenly develop cold feet because of the whining of the likes of GEJ and Kukah. Kukah pointed to the lack of a cabinet and ‘policy directions’ for MDAs as evidence of Buhari’s obsession with probing Jonathan’s administration to the detriment of governance. What the bishop failed to mention was the near miraculous way the same MDAs have started performing better. He did not mention a substantial increase in power generation. If you attribute the power output increase to the rains, be prepared to tell us whether there had been drought in the last 6 years before PMB. 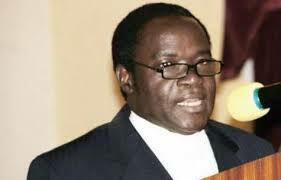 Kukah did not mention that two refineries suddenly started working; that the military seems better motivated; that the foreign reserves have increased; that financial leakages are getting attention and are being plugged. He failed to notice that Buhari is indeed implementing his main agenda; Security and Anti-Corruption. In fact, he seemed not to have heard PMB tell the nation to expect ministers in September. Ministers do not run MDAs but the permanent secretaries and those under them do. His second point was that PMB has been ‘heating up the polity’ (how I loathe these clichéd phrases!) by stating he would probe only Jonathan’s tenure. The only ‘polity’ I think is being heated up is the behinds of the treasury looters from that era. He went on to tell a stunned audience about the great sacrifice “Hero” Jonathan made by conceding an election he clearly lost. Bishop Kukah is in his 60’s but he seems to think the rest of us never grew up. How could he bring up Jonathan’s defeat and the subsequent concession of defeat as a shield against prosecution? Does Kukah still remember what happened at the International Conference Centre here in Abuja on the day of the final collation? We had an Orubebe who Jonathan’s group gave the task of upsetting the whole process. Allah restrained him by imbuing Prof Jega with the wisdom to understand where the drama was heading and adjust accordingly. We had the US and UK governments breathing down Jonathan’s neck; requiring him to do the needful. We had Bishop Kukah and his committee going to beg him not to do ‘ojoro’ (foul play). The man succumbed to immense pressure and did what he did not want to do but the uninformed and gullible ones started calling him a hero. There is an adage, which says, ‘The monkey dropped his kolanut from his perch up a tree and declared it as a gift to the people under the tree. If he did not give them as a gift, could he have descended to retrieve it?” If Jonathan did not make any phone calls and decided to scuttle the elections, could he have continued as president? Why do our so-called leaders, religious and political, think they can always play on our collective intelligence in this way? Kukah’s third point is that Buhari should not bother to probe anyone because that would not allow him to do other things. He added that probes do not exist in a democracy, only investigations are acceptable. The last time I checked a thesaurus, a probe is synonymous with an investigation. Bishop Kukah, we understand English as much as you do, please do not pull wool over our eyes. To be fair to the bishop, he kept reiterating that he did not oppose a probe but he called it ‘drama’ and that if Nigerians wanted ‘drama’, fine! He also said he did not believe it would work. He saw no way a man could retrieve a large chunk of our stolen collective wealth while still doing a good job of governing us. I beg to disagree. A regime brought Nigeria to its knees more than others did and the memory is still fresh. As an analogy of the kind of diseased thought that gave birth to the idea of ‘probe all or none’, let us imagine this scenario: A newspaper owner dies in a letter bomb explosion last week and the IGP is telling Nigerians he would ensure the killers are found. The investigation points at several of the immediate past IG’s people being the masterminds with evidence. Some malams and priests call at the new IG’s office to tell him to remember that the former IG did well and handed over to him in a peaceful way, so he should not ‘heat up the polity’ and forget about the investigations. They say if he insists on the probe, he would be unable to perform other roles and he should probe the one of Dele Giwa in 1987 too, if he wants to be fair. You will agree with me that is not an intelligent argument. Jonathan was the one who handed over to Buhari, not IBB or Abdulsalami Abubakar. It is Jonathan Buhari should ask concerning what went missing under him, not Jonathan’s predecessors. If Jonathan did not think anything was amiss with what was handed over to him that is his own headache. To probe everyone is not possible but to send a clear message to aspiring treasury looters is. The ones whose malfeasance was just yesterday, so to speak, should still be able to answer for their crimes. There is an important element in law, which Kukah is ignoring: enforcement and deterrents. The reason the average American obeys the traffic light is because he knows there will be consequences if he did not. The reason an average Nigerian does the opposite is that he knows there are no consequences. The worst that could happen is a policeman sits in your car and pretends to arrest you before you get the cue to part with NGN500 or NGN1,000; depending on how greedy the fellow is. By making sure no one is allowed to go away with corruption, the people will adjust; and they are already adjusting. The rest of the committee members who have spoken out are in sharp contrast to Bishop Kukah in their submissions. They support the fight against corruption and they do not see anything wrong with Buhari’s actions. His Eminence, the Sultan, urged PMB to prosecute anyone who has been found guilty. His Eminence, The Most Rev. Nicholas Okoh of the Anglican Communion spoke in the same vein. I wonder why Kukah has been so vehement in support of Jonathan and so critical of any step to retrieve some of our stolen commonwealth. I remember a certain Abati who was very critical of corrupt governments but who was later invited to ‘come and chop’ (apologies to OBJ). He became the poster boy for moral turncoats. My ardent prayer is for Kukah not to be his replacement in the eyes of people.